Sir Richard Branson, the adventurer and entrepeneur, has called on the UK to take a leading role in cutting back deep sea fishing. He has written to UK fisheries minister Richard Benyon urging him to put pressure on other EU member states to back proposals to introduce much tighter restrictions. 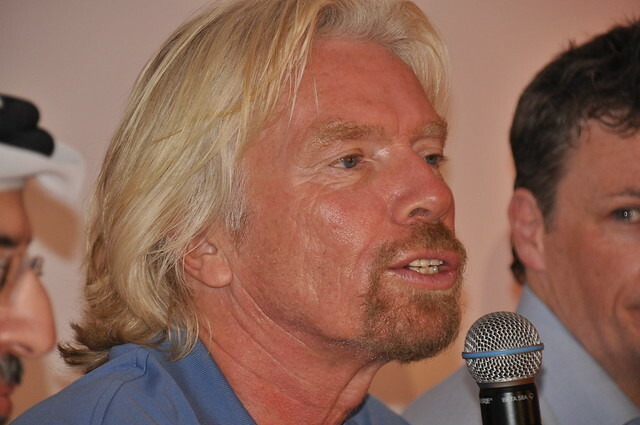 In his letter to the minister Sir Richard, the founder and chairman of the Virgin Group, expressed his fears of irreversible damage to deep sea fish and other creatures if regulations are not tightened. Deep sea fish populations are regarded as highly vulnerable and the fishing techniques used to bring them to the surface can damage the seabed and result in huge levels of unwanted bycatch. Sir Richard wrote: “The deep sea is one of the last unexplored ecosystems on the planet. It is an area rich with new discoveries, but also highly vulnerable to anthropogenic disturbance. The damage caused by these fishing methods in the deep sea is severe, long-lasting and may well be irreversible. The entrepreneur announced last year that he is planning an expedition to the deepest parts of the Pacific and Atlantic oceans in a one-man submarine. He intends to pilot the submarine to the bottom of the Puerta Rica Trench in the Atlantic as part of the project, Virgin Oceanic, after Chris Welsh, an American adventurer and entrepreneur, has taken it to the bottom of the Pacific’s Mariane Trench, the deepest place in the world. His letter to Mr Benyon was revealed on the eve of the European Fisheries Council which meets on November 28 and 29 to consider the level that Total Allowable Catches (TACs) should be set for 33 deep sea fisheries for 2013 and 2014. Conservationists have urged ministers to reduce TACs in the North East Atlantic or at the very least keep them within scientific recommendations. Matthew Gianni, of the Deep Sea Conservation Coalition, said it is estimated that just 60 per cent of catches are targeted species, by weight, and that 20 to 40 per cent is discarded as unwanted. Trawlers catch many more species than they target, with a study published last year showing that the French fleet caught 144 different species while looking primarily for black scabbard fish, roundnose grenadiers and blue ling. Little is known of the deep sea ecosystems and despite suggestions that some of the target species stocks have improved, leading to scientific advice that TACs can be increased, conservation groups are skeptical and want a precautionary approach taken. Even if numbers of target fish have risen, they argue, there are likely to be severe impacts on other species. Two campaign groups, Seas At Risk and the Fisheries Secretariat, have written to EU ministers urging them to treat calls for increase in the roundnose grenadier and black scabbardfish with extra caution. The European Commission’s proposal to ban bottom trawling and gill net fishing in the deep sea would phase out the most damaging techniques but would still allow more selective methods to be used. It is expected to be considered by ministers next year.